The most magical season of the year is definitely not Christmas. It’s the Epcot International Food and Wine Festival. If you’re even remotely interested in good food, you need to make a trip to Walt Disney World during this special time of year. 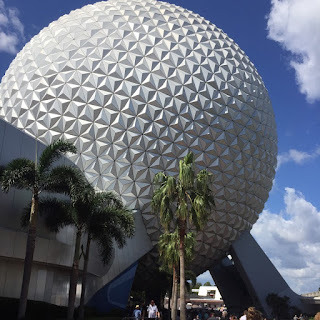 I’ve been going to the festival as part of the Wine and Dine Half Marathon weekend for the last few years, but I was excited to make a special trip to Epcot earlier this month to check out all the good eats. First of all, what is the Epcot International Food and Wine Festival? This year there are 35 booths (to celebrate Epcot’s 35th anniversary) scattered around World Showcase and creeping into Future World. Each one of the booths has 2-4 food items and 2-4 drinks to sample. 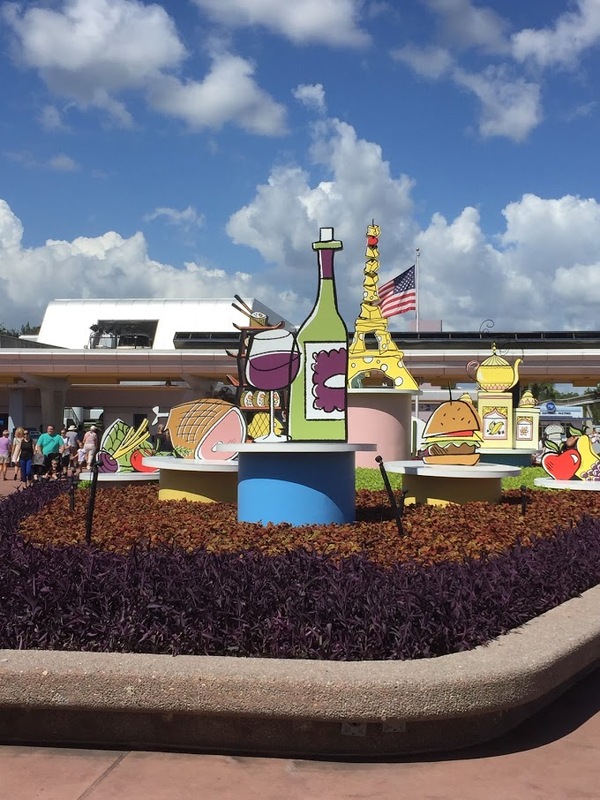 Most of these food items can be purchased for a snack credit on the Disney Dining Plan. There are savory and sweet items as well as items that are vegetarian and gluten free. With all the delicious options, where should you start? 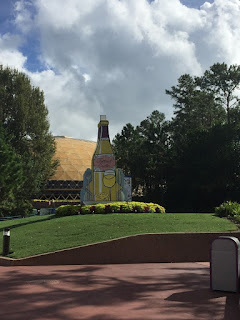 I recommend starting at the Festival Center, located in the Odyssey Center in Epcot’s Future World. 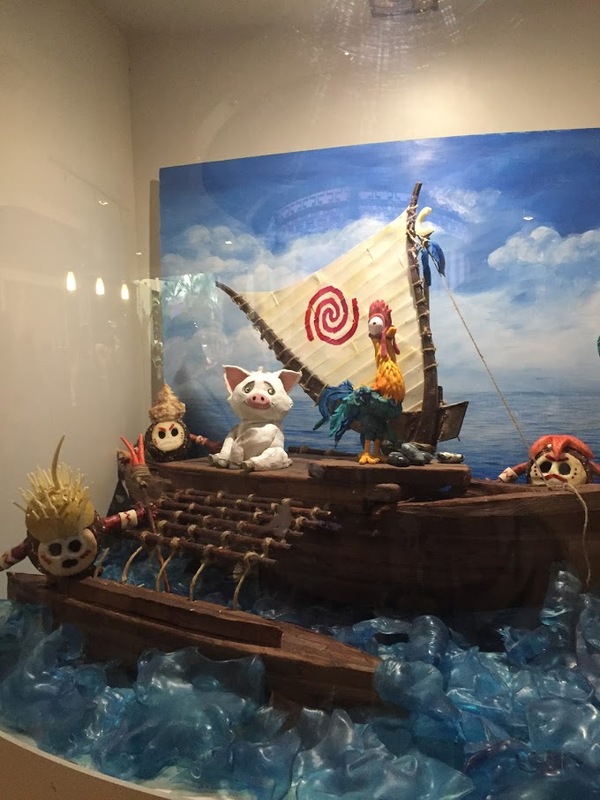 Here you can check out the Festival Shop, check out the displays such as Ghirardelli’s “From the Bean to the Bar” exhibit, and pick up your Festival Passport. This passport allows you to keep track of all of the festival booths that you visit during the festival. It has a listing of all of the items from each booth and has stickers to place on the booths you visited. Plus, it’s a free souvenir! 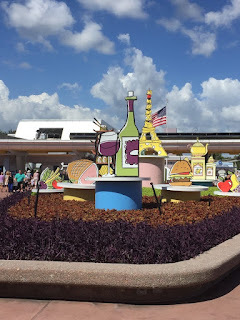 One of my pro tips for the Epcot International Food and Wine Festival is to go with a group, or at least another person. This way, you can share booth items. Otherwise, you will find yourself getting full pretty quickly. Personally, I enjoyed three items at the festival and then I was done. The heat and humidity probably didn’t help at all. At the Coastal Eats, I had the seared scallops with roasted corn and butterbean succotash and chili chipotle butter sauce. The scallops were well cooked and had a good flavor to them. 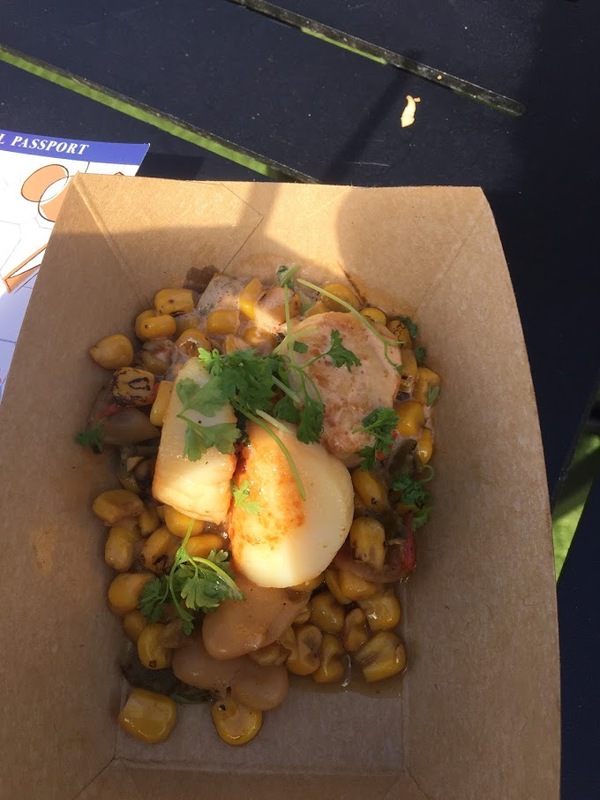 I don’t know if I’ve ever had a bad scallop dish in all the years I’ve been going to the festival. The corn and butterbean succotash mixed nicely with the chili chipotle butter sauce. The sauce had some heat to it. It added a nice flavor, but if you don’t care for spicy food at all, then stay away. All in all, it was a good start to my trip at Food and Wine. I found myself at the Chocolate Studio next. I know I was supposed to try new dishes, but I couldn’t resist sampling the Liquid Nitro Chocolate Almond Truffle with Warm Whiskey Caramel. 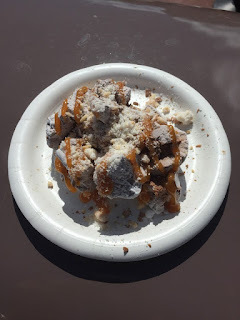 It was one of my favorite bites at the festival last year and I knew it would be something cold and delicious on such a hot day. However, I seriously underestimated its size. This thing was huge! The best way to describe it is that the truffle tastes like a super rich and creamy frozen ice cream. Now, I know that ice cream is frozen, but this is more frozen if that makes sense. The chocolate flavor is delicious and intense, but I didn’t detect any almond flavor (guess this means I’ll have to try this one again 😊). The warm whiskey caramel is good, I just wish there were more of it. After polishing off the truffle, I knew I probably had some stomach space for one more item. I bypassed a number of booths looking for one that would fit the bill. Finally, I ended up at the Scotland booth. This booth had my favorite dish of last year’s festival and I was glad to see it make a reappearance this year. Plus, this time I wouldn’t have to share. The Fresh Potato Pancake served with Scottish Smoked Salmon and Herbed Sour Cream is absolutely delicious. The pancake is hot with a crispy crust and smooth potato-ey goodness on the inside. 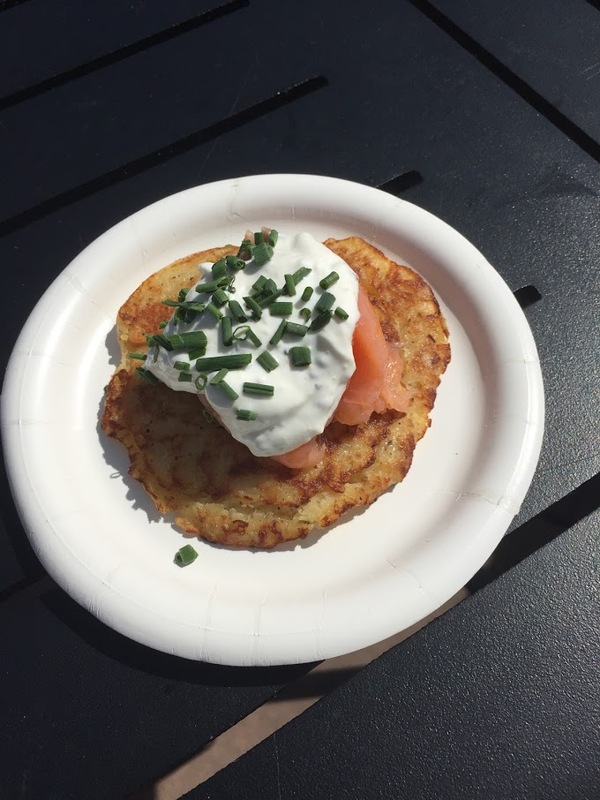 It pairs well with the cold smoked salmon and the herbed sour cream just puts this dish over the top. I don’t remember it being served with as much sour cream last year. This year, it was just a bit too much. Even so, it was delicious. 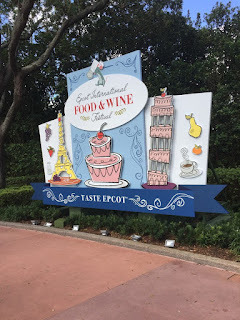 What has been your favorite bite of the Epcot International Food and Wine Festival? What items are you looking forward to the most?